To showcase the fantastic attributes of Amarillo Fresh Hops, we decided to go crazy and dry-hop our beer with 200 pounds. Also, to really get as much out of the hops as possible, we used liquid nitrogen to freeze and crush them, releasing all the lupulin goodness held inside the hop cones. Lastly, we fermented the beer with a wild yeast strain for a little funk and to bring out the citrus and stone fruit character of Amarillo. 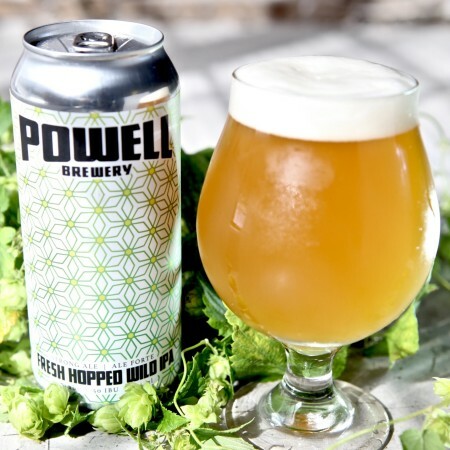 Fresh Hopped Wild IPA will be released Friday September 15th at 12:00 noon in the Powell Street tasting room and retail store, where it will be available in cans and growlers to go, and glasses and flights at the bar.